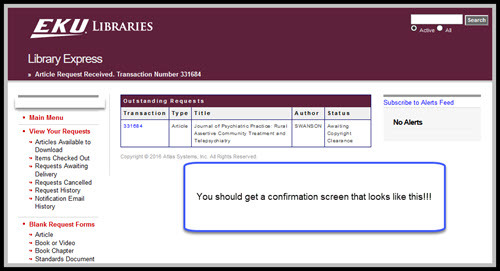 Already have a citation for an article that you need to request through Library Express? Tip! We encourage you to locate articles in Google Scholar or the Library Search and submit the request that way. But we know that sometimes you can't find it in either of those places, and you will need to use manual citation entry as a last resort. In those instances, you can fill out a blank request form from your ILLiad account. Please include the most accurate and complete information possible to avoid delay. Start at the Libraries homepage and select one of the Library Express links to access your Library Express account. 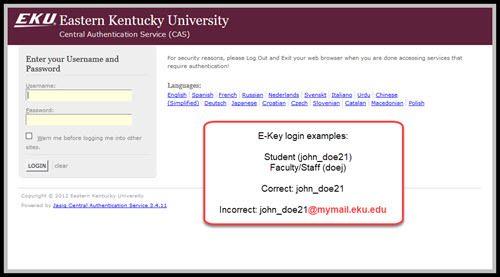 Login to the authentication screen using your EKU username and password. This is the same login and password you use to your EKU e-mail account. 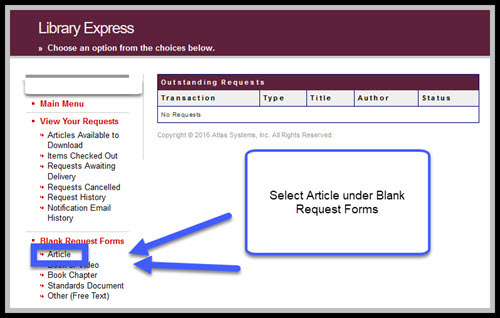 Once logged into your Library Express account, select the Article link under Blank Request Forms. Year, Volume, Issue, Month, etc. Then be sure to Submit the Request! You should then get a confirmation that your article was submitted. Tip! 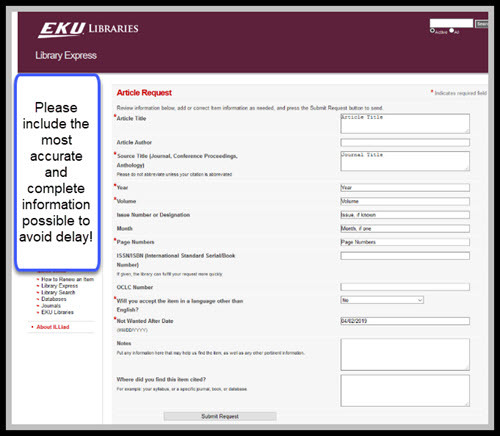 If you do not get this confirmation, your article request was NOT submitted and was not received by the Library Express staff!! Revisit the form and resubmit! When your article arrives, you can access it through your Library Express account and the Article Available to Download link.